We’re big fans of the Eastern Screech Owl, a small raptor with a distinctive set of songs, none of which sounds like a screeching owl to us, but more like a bubbly, warbly, trilly, whinnying owl. So let’s meet our November 2016 selection in our 12 Months of Birding at the Inn blog series. The Eastern Screech Owl is fairly common in the eastern United States. As in other places where they live, they are year-round residents here in Pisgah National Forest near Asheville, NC. Mostly gray or reddish brown with streaks, splotches, bars, and other patterns, they’re very well camouflaged in the woods. And they are on the small side, too, so they can be a challenge to spot. If you see one, you may first notice the yellow eyes and determined facial expression, along with the owl’s striking color patterns. What we really like about them are the ear tufts, which are, let’s face it, a-dorable. 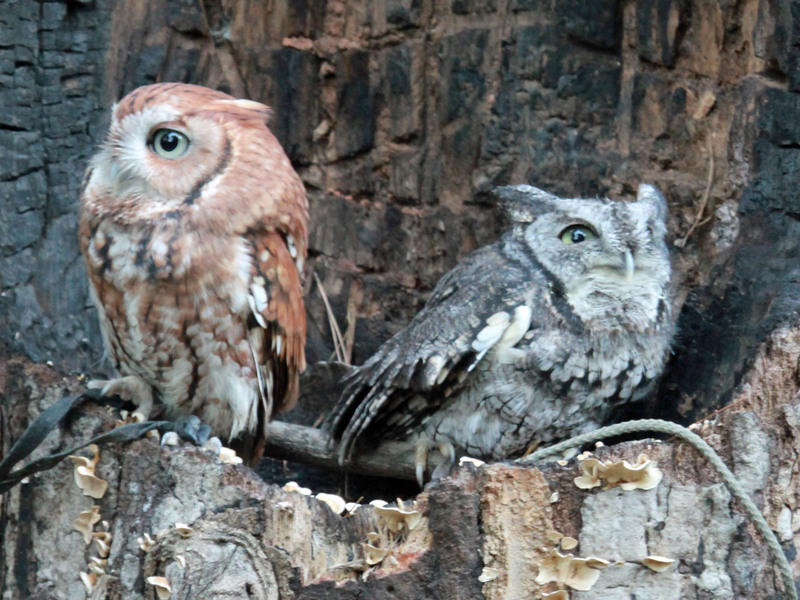 The Eastern Screech Owl’s diverse diet consists of small mammals, birds, reptiles and insects. They’re very active at night, and we enjoy hearing the owls calling to each other just before dusk and into the evening. We’ve mimicked them as we take walks on our road in the National Forest, and often, one will follow us in the trees, calling back. 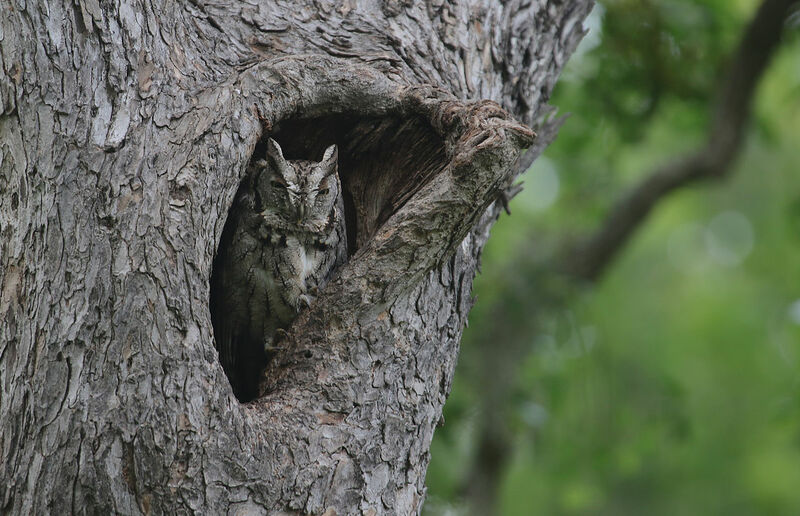 The Cornell Lab of Ornithology has some great examples of the Eastern Screech Owl’s songs. Something we learned recently about Eastern Screech Owls is that they like nesting boxes, so we are contemplating building one or two to see if our resident owls would like to take up residence in them at the southern end of the property bordering the National Forest. There are some great places for nesting boxes there near the small creek where a nice woodsy area is located. Stay tuned! This entry was posted in Birding in the North Carolina Mountains and tagged 12 Months of Birding at the Inn, birding, Pisgah National Forest by Inn on Mill Creek. Bookmark the permalink.